Posted: 17:22 - 02 Sep 2018 Post subject: Rrough Superior. 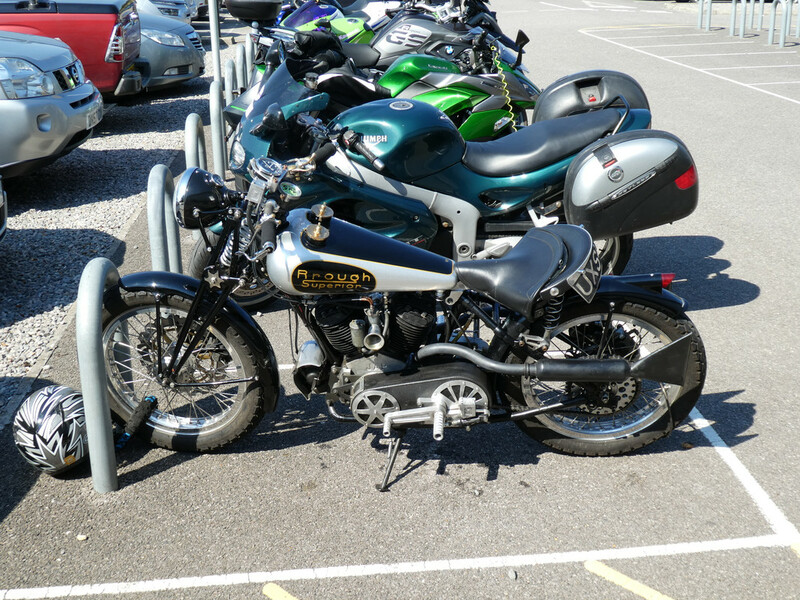 Saw this interesting bike at Duxford today. 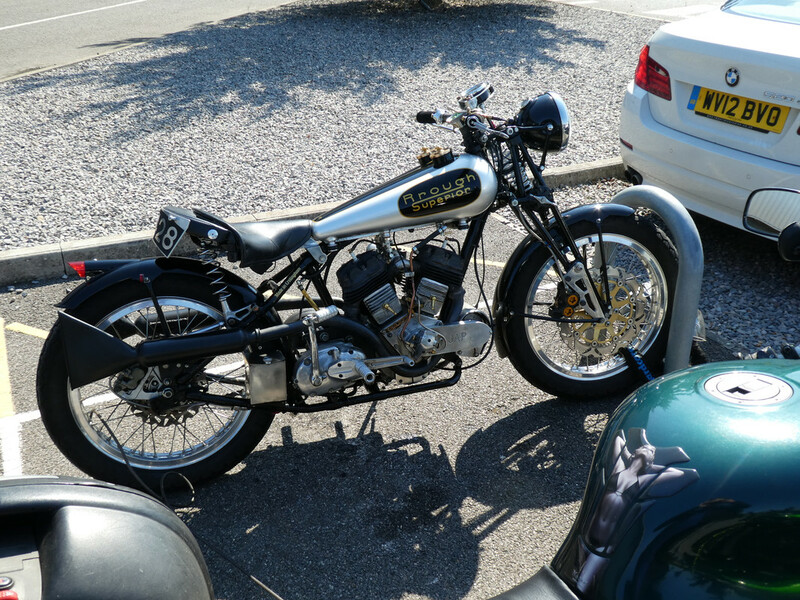 At first I thought it must be one of the brand new Brough Superiors you can buy, but no, it looks like a one-off custom job. I didn't notice the 'Rrough' spelling on the tank until I looked at the photos later. Cant find any info on it though.